Tariq Khan 30-08-17 G: 2919 I am patient Advisor to Dr. Humayun Mohmand Hair Transplant Institute, Pakistan. All opinions and views shared are my own. Not a medical professional. Patient Name: Raja Usman Sarwar Total Number of Grafts: 2730. These pictures are captured before Hair Transplant of a Patient. Hair transplantation procedure before and after photographs Hair Transplant Sessions: 1 Grafts Implanted in session one: 2007 Surgical Procedure: FUE These are the Hair transplant surgery before and after result photographs. This gentleman was presented to Dr. Humayun Mohmand with baldness classification type III. A FUE hair transplant procedure was performed using 2007 grafts in one session. Hair transplantation procedure before and after photographs Hair Transplant Sessions: 1 Grafts Implanted in session one: 2632 Surgical Procedure: FUE These are the Hair transplant surgery before and after result photographs. This gentleman was presented to Dr. Humayun Mohmand with baldness classification type Ludewig II. A FUE hair transplant procedure was performed using 2632 grafts in one session. Hair transplantation procedure before and after photographs Hair Transplant Sessions: 1 Grafts Implanted in session one: 2689 Surgical Procedure: FUE These are the Hair transplant surgery before and after result photographs. This gentleman was presented to Dr. Humayun Mohmand with baldness classification type V. A FUT hair transplant procedure was performed using 2689 grafts in one session. Hair transplantation procedure before and after photographs Hair Transplant Sessions: 1 Grafts Implanted in session one: 2927 Surgical Procedure: FUT These are the Hair transplant surgery before and after result photographs. This gentleman was presented to Dr. Humayun Mohmand with baldness classification type iiiA. A FUT hair transplant procedure was performed using 2927 grafts in one session. Hair transplantation procedure before and after photographs Hair Transplant Sessions: 1 Grafts Implanted in session one: 2813 Surgical Procedure: FUT These are the Hair transplant surgery before and after result photographs. This gentleman was presented to Dr. Humayun Mohmand with baldness classification type VI. A FUT hair transplant procedure was performed using 2813 grafts in one session. Hi guys, this is my second H.T..so I am sending you the pics.. mine first was with Dr humayun from Islamabad t( great person and equally great surgeon) but that was 8 years ago and this time I went to dr suneet to regain the lost density which I have lost over all these years... Feel free to comment..!! Hair transplantation procedure before and after photographs Hair Transplant Sessions: 1 Grafts Implanted in session one: 2730 Surgical Procedure: FUT These are the Hair transplant surgery before and after result photographs. This gentleman was presented to Dr. Humayun Mohmand with baldness classification type VI. A FUT hair transplant procedure was performed using 2730 grafts in one session. Hair transplantation procedure before and after photographs Hair Transplant Sessions: 1 Grafts Implanted in session one: 2863 Surgical Procedure: FUE These are the Hair transplant surgery before and after result photographs. This gentleman was presented to Dr. Humayun Mohmand with baldness classification type Vertex iii. A FUE hair transplant procedure was performed using 2863 grafts in one session. Hello everyone!! I am new to this forum, and having a hard time to decide which surgeon should I go to for FUE hair surgery in Pakistan as there are so many with different claims and prices, every one says he's the best surgeon in Pakistan. I just don't want to put my head in the wrong hands also I am not that rich to go for a second round if anything goes wrong. I am saving money right now and need guidance as it is a big step for me. I also don't know anybody from Pakistan who has any personal surgery experience "where to find them?" I have read alot about Dr. Humayun Mohmand but I think he doesn't even meet his clients and there are other people who take the clients through the procedures and do the surgery I am not satisfied with that. I have been googling alot and came here I need experts advice and recommendation. 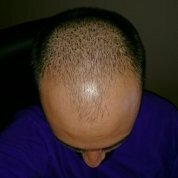 I don't know much about the procedures just the basics about FUE and FUT, but I am having some doubts and confusions after reading people saying that they lost their hair after few months or their hair didn't grow as they should etc... Thanks in Advance. Hair transplantation procedure before and after photographs Hair Transplant Sessions: 1 Grafts Implanted in session one: 3113 Surgical Procedure: FUT These are the Hair transplant surgery before and after result photographs. This gentleman was presented to Dr. Humayun Mohmand with baldness classification type VI. A FUT hair transplant procedure was performed using 3113 grafts in one session. Hair transplantation procedure before and after photographs Hair Transplant Sessions: 1 Grafts Implanted in session one: 2746 Surgical Procedure: FUT These are the Hair transplant surgery before and after result photographs. This gentleman was presented to Dr. Humayun Mohmand with baldness classification type IV-A. A FUT hair transplant procedure was performed using 2746 grafts in one session. Hair transplantation procedure before and after photographs Hair Transplant Sessions: 1 Grafts Implanted in session one: 2932 Surgical Procedure: FUT These are the Hair transplant surgery before and after result photographs. This gentleman was presented to Dr. Humayun Mohmand with baldness classification type V . A FUT hair transplant procedure was performed using 2932 grafts in one session. Hair transplantation procedure before and after photographs Hair Transplant Sessions: 1 Grafts Implanted in session one: 2612 Surgical Procedure: FUT These are the Hair transplant surgery before and after result photographs. This gentleman was presented to Dr. Humayun Mohmand with baldness classification type IV-A. A FUT hair transplant procedure was performed using 2612 grafts in one session. Hair transplant surgery before and after result photographs. Hair Transplant Sessions: 1 Grafts Implanted: 3230 Baldness Class: VI Surgical Procedure: Follicular Unit Transplant (FUT/Strip) This gentleman was presented to Dr. Mohmand with a Norwood Class VI pattern. A FUT hair transplant procedure was performed using 3230 grafts in one session. Following result is of 9 months after procedure. Hair transplantation procedure before and after photographs Grafts Implanted in session one: 2345 Surgical Procedure: FUT These are the Hair transplant surgery before and after result photographs. This gentleman was presented to Dr. Humayun Mohmand with baldness classification type III Vertex. A FUT hair transplant procedure was performed using 2345 grafts in one session. Hair transplantation procedure before and after photographs Hair Transplant Sessions: 1 Grafts Implanted in session one: 3029 Surgical Procedure: FUT These are the Hair transplant surgery before and after result photographs. This gentleman was presented to Dr. Humayun Mohmand with baldness classification type III. A FUT hair transplant procedure was performed using 3029 grafts in one session.